In preparation for Paris 2015, the new major climate summit, researchers publish many scenarios on the reduction of greenhouse gas production. Over the years, these have become more pessimistic. As the world longer postpones adequate measures, it will have to take more radical measures in order to keep in sight the goal of 2 degrees heating. But wrongly, the effect of stepwise changes like in the biobased economy is overlooked. No, not the use of biofuels, but restructuring the chemical industry. 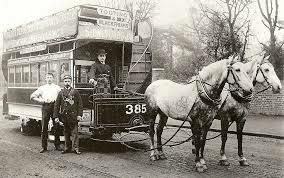 The horse tramway was the dominant form of transport in the late nineteenth century; it was overtaken by the motor car, a stepwise change. Climate researchers who study the reduction of the emission of greenhouse gases hardly see any reason for optimism any more. They note that the countries with the highest CO2 production per unit of BNP have the highest growth rates; that it is politically difficult to take adequate measures; that more often than not, policies are ineffective; and that existing systems hamper changes because of lock-ins; that people do not like to change their behaviour because of something abstract like climate threats, and that moreover they tend to spend any money saved on other CO2 producing activities (rebound effect). As a matter of fact, there is not a single success story. Those who would like to keep upright the possibility of adequate climate policies, increasingly have to revert to warnings on the effects of doing nothing. Yet, as a relative outsider, I have the impression that these economists underrate the possibility of stepwise changes. Perhaps stepwise changes do not fit into the sceptical framework of economic thinking, that starts from day one with the idea that every upturn has its downturn, ‘there are no free lunches’. And yet, stepwise changes have shaped our world. If on the London Strand, between 1900 and 1920, traffic would have risen at the same rate as during the twenty years before, people would have had to wade through knee-high horse manure. And if the capacities of nineteenth century industries would have continued to rise, we would have now seen steam engines with central shafts tens of meters in diameter. But as we know now, these problems were solved through the advent of the motor car and of electricity. Why then, do not stepwise changes play a considerable role in the climate debate? 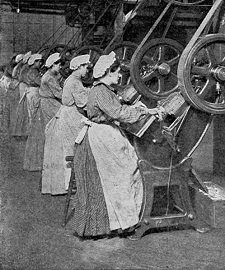 In the nineteenth century factory, a steam engine powered a central shaft; this shaft provided energy for individual workers through a system of belts. Electric energy, which provided decentralised energy in a much more elegant way, replaced steam power, a stepwise change. No one could have foreseen the advent of the motor car by researching the horse-tramway, or the importance of electricity for industry by studying the development of the capacity of steam engines. Likewise, the consequences of the PC and of internet, to other radical innovations, formed a departure from the past. What do we miss out now, by exclusively researching trends – system developments in the jargon of economists? We do not know that for sure, and therefore this column will become somewhat more speculative from here onwards. I submit that it is useful to keep a keen eye on technological developments in matters like climate change; in particular because right now technology seems to tend towards stepwise changes, most notably in the trend of better results with less inputs. My first example is well-known: photovoltaic energy. Price reductions of solar cells were spectacular in the last few decades, and on top of that: there are sufficient fundamental and technological innovations in the pipeline to foresee that these price reductions will continue. In the long run, say around 2030, almost all investments in the energy system will be made in the field of solar energy. Even more important is that solar energy will require a regional build-up of the electricity grid, something that has shown up in the form of a problem in Germany recently, but that will radically transform energy supply (and improve its efficiency). A real systemic innovation. Succinic acid is among the first biobased bulk chemicals to come to the market. 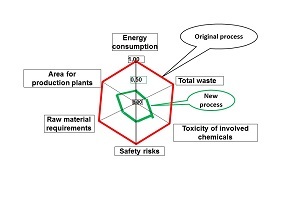 The second, much less known example, is about the use of fermentation processes in chemical industry, leading to the so-called biobased economy. As this development is just in its infancy, there is no aspect of system change as yet; I can only indicate the potential of the biobased economy with an example. This is the development of semi-synthetic penicillins by a consortium led by DSM, Andeno and GistBrocades (now merged into a single company) in the nineties of the last century. They succeeded to produce an entire family of penicillins much cheaper and much more efficiently than with traditional methods – by fermentation, in a major project in which also participated the universities of Groningen, Nijmegen, Wageningen and Delft. This project was motivated entirely by commercial reasons: the companies felt the heat of Chinese and Indian competitors, and tried to develop this route, never attempted before. With great success. For commercial purposes it was very important that quality and shelf-life of these medicines were much better. Old penicillins tasted bitterly, and this taste had disappeared entirely. Old penicillins lost their quality fairly quickly, the new ones sustained their high level of quality for a much longer time. In the course of time, the process was further improved, it still contributes to DSM’s balance sheet. There is another spectacular result of this process: the extraordinary reduction of the environmental footprint. All important environmental parameters were reduced by half or more: energy, feedstock, toxicity etc. The most spectacular is the reduction of the amount of waste: from 50 kg of chemical waste per kg of product, to just a few kilograms; and that in the form of ammonium phosphate that can be used as a fertiliser. The ‘spider diagram’ shows major improvements. The surface of the inner figure is just 15% of that of the outer figure – a spectacular result. This is an example of a much wider technological trend: better results (in particular with regards to quality) with less inputs. This trend is unmistakable and will lead to more added value with less weight. Quite a challenge for economists to value this development, as they are used to add results and inputs together in the GNP. Fermentation is now on its way to be applied in bulk chemistry. In principle, the entire chemical sector might be turned upside down in this process. Even though the well-known restraining forces are at work: lock-in, vested interests that oppose the new development, lack of adequate CO2 prices. 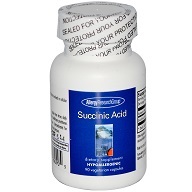 Yet, the first biobased chemicals now come to the market: lactic acid, succinic acid, levulinic avid. Developments are slow but steady. Petrochemical industry, according to Johan Sanders [link], will eventually be able to stabilise its position in about one-half of the market; the remainder will sooner (given adequate policies) or later (at business-as-usual) be captured by fermentation. This will have a major effect on the energy and feedstock use of chemical industry, as the petrochemical sector too, will have to improve a lot in these respects in order to survive (inter alia, this process is already going on). In other industries, similar processes are going on, often called ‘process intensification’. Has this ever been considered in CO2 scenarios? Falling instead of increasing costs? Among economists, a generally accepted theorem is that of increasing policy costs as goals become more ambitious, even more so if these goals approach almost impossible ambitions. This theorem adds to pessimism among climate economists – as it has the consequence that effective policies are very difficult indeed. But this theorem does not apply any more if there is stepwise change in technology around the corner. Production costs in nineteenth century industry did not rise but fell as it changed from steam to electricity, while at the same time reducing the environmental impact. In the same way, the more sustainable fermentative chemical industry will be cheaper than existing petrochemical industry in the long run. Policy costs will therefore fall instead of rise. Moreover, environmental gains will be cumulative – as lower feedstock use and lower waste production each imply less energy use in the chain by themselves, and the other way round. There is also an effect on public opinion: stepwise changes bring about a rapidly increasing willingness to say goodbye to old-fashioned technology. Like at present, from coal-fired power stations. I can only highlight these effects on the basis of examples. Only a more far-reaching study of technological trends will be able to lead to the conclusion that there are real system effects in the making here. But many economists have little insight in technology and take a sceptic view of such research. Let me be perfectly clear of what I do not imply in this article. I do not propose that technology will solve all climate problems, or that it will do so timely – that would require solid government policies at its side, first of all the instalment of a sufficiently high CO2 price world-wide. I do propose that a clearer view on the possibilities of stepwise changes in technology could mean a ray of sunshine in the climate debate.